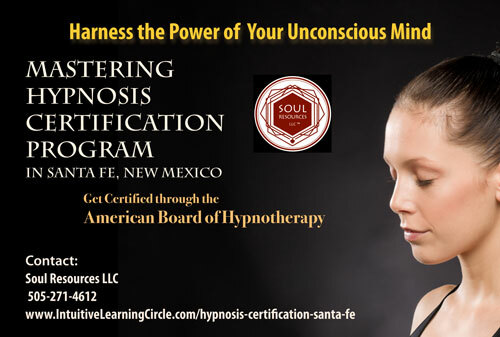 Get Your Hypnosis Certification in Santa Fe Through the American Board of Hypnotherapy by Attending Three Weekends of Professional Training in the Land of Enchantment. Next Training Dates: Fall, 2019. See details below or call 505-271-4612. Hypnosis is one of the top 3 techniques we recommend to help anyone expand their intuition and personal growth! When you experience and become adept at trance induction – it’s the ultimate in natural healing. Hypnosis was used in the ancient Sleep Temples of Egypt, today we can learn to use the hypnotic state to enhance performance, facilitate internal change and inspire vibrant health! Life Coaches, Yoga Instructors, Acupuncturists, Chiropractors, Nurses, Massage Therapists, Spiritual Counselors, Social Workers, Personal Trainers, Personal and Health Coaches, Dietitians, Doctors, Psychotherapists, Teachers, Artists, Musicians, Fitness Enthusiasts & more! You can pay more to learn hypnosis…but why? 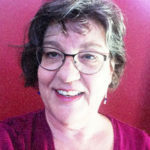 With Soul Resources’ Mastering Hypnosis Certification, you’ll learn trance induction techniques from Milton Erickson, Dave Elman, George Estabrooks and how to use suggestion to facilitate internal change. By the end of the first weekend, you will know how to induce hypnotic trance both on yourself and with another person. 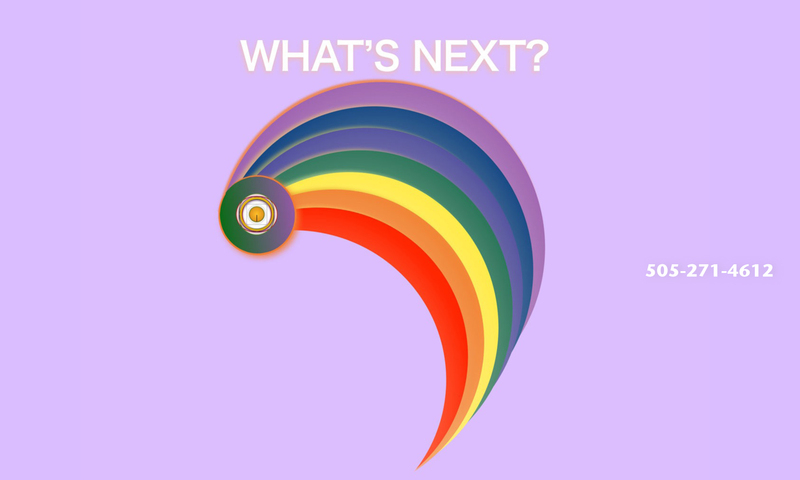 a) A variety of hypnotherapy interventions including (smoking cessation, weight control, pain control, performance enhancement and spiritual hypnosis) and how you can creatively apply different interventions into different situations. g) How to go into trance and how to teach your clients to use trance effectively for reducing stress and facilitate positive change! Your instructor, Robert S. Morrison, DCH is a graduate of American Pacific University and is registered and certified as a Hypnosis Teacher Trainer with the American Board of Hypnotherapy (ABH). He has been a practicing Clinical Hypnotherapist since 1998. Tuition includes your ABH Hypnosis Certification and first year’s Registration fee. 1. Call Bob Morrison and talk with him about your interest in the program – 1-505-603-0112 or Rheanni at 505-271-4612. Please note – an interview is required for admission to the program. 2. Once admitted to the program, submit your deposit of $200.00. Pay your deposit by credit card through the Paypal Button below or send a check for $200.00 to our mailing address at Soul Resources LLC, 3201-C Zafarano Dr. #131, Santa Fe, NM 87507. 3. Pay 3 monthly payments on or or before each weekend. Cash, checks and all credit cards accepted. Includes ABH Certification & 1st Year’s Registration Fee! Text additional. Registration for workshops are taken on a first-come, first-serve basis. All workshops have limited enrollment, and many fill up quickly. Payment must be received in order to reserve your space. Please note that all registration deposits are non refundable if you cancel less than one month prior to class starting date. Cancellations up to 7 days prior to class we will transfer 50% of your deposit to the very next class. Cancellations with less than 7 days notice will not receive a refund or credit for deposit and class fees.